Sedan is a hoot to drive. The 2017 Toyota Yaris iA is our pick of the model lineup thanks to better packaging, better features, better ride, and better transmission options. The 2017 Toyota Yaris iA adds a good sedan to the lineup this year. 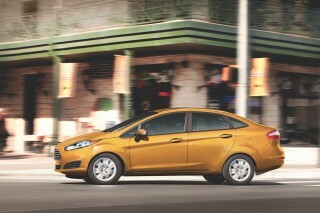 So good, in fact, we're not sure why the hatchback is around any longer. The 2017 Toyota Yaris is a subcompact hatchback that is joined this year by the Yaris iA (nee Scion iA) subcompact sedans. 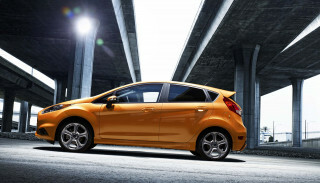 It's the automaker's lowest-priced car sold in the U.S. and is the smallest. The Yaris is offered as a three- or five-door hatchback in L, LE, and SE trims, while the Yaris iA is only available in one trim. The Yaris is a traditional subcompact in the sense that it's affordable transportation without much excitement—some competitors manage the former without the latter. The Yaris hatchback is now in its fifth year, and two years removed from a subtle redesign. It's nicely proportioned from the outside, in three- or five-door format, but with plainer styling than many of its contemporaries. Inside, the dash has horizontal, shelf-like lines and the controls are simple, cheerful, and easy to understand. The iA sedan is alternatively styled in a more aggressive shape, taking many of its interior and exterior from the Mazda 2 from which it's based. Under the hood, the two versions have similar powertrains with very different transmission options. The Yaris hatchbacks come with a 106-horsepower inline-4 mated to ether a 5-speed manual or ancient 4-speed automatic. Sedan versions have a similar 1.5-liter inline-4 that's better paired with a choice between a 6-speed manual or 6-speed automatic. Neither engine feels particularly fast, but the iA sedan's chassis at least feels perky. Over several hundred miles in both versions, we've found that keeping the engine on the boil—beyond 5,000 rpm—is the only way to extract any fun, although it's not very satisfying. Mileage in both is fairly good compared to all cars, but not very efficient compared to other subcompacts—or especially the hybrid Prius c. Most models manage mileage in the mid-30s combined, according to the EPA. In either configuration, the Yaris and Yaris iA are better suited for driver and front-seat passenger than for back seat riders or big cargo hauls. The Yaris sports about 33 inches of rear seat leg room, which is less than some of its competitors, and riders may have difficulty accessing the rear seat in three-door models. Front seats in base Yaris models are fairly good, although long-legged drivers may have difficultly negotiating with steering wheels that tilt, but don't telescope. Fore 2017, Toyota added advanced safety features to Yaris hatchback models that include lane departure warning, forward collision warning, and automatic high beams. The Yaris hatchback received four stars overall by federal testers, and mostly "Good" scores by the IIHS, except for a "Marginal" score in small overlap front crash protection. The Yaris iA is rated a Top Safety Pick by the IIHS. In base trims, the Yaris hatchback is fitted with a good 6.1-inch touchscreen, but little else. Top of the line packages include fog lights, and a leather-wrapped steering wheel and shift knob, but leather seating surfaces aren't available in any trim. Yaris iA models get a 7.0-inch touchscreen, 16-inch wheels, and keyless ignition. With the inclusion of the iA sedan into the Yaris lineup this year, we're finding in many situations that the hatchback—which starts at nearly the same price—is an increasingly more difficult proposition for buyers, even if its design is a little more practical. The Yaris makes a statement: It's not always about looks. The Yaris is two years removed from a facelift, but the small hatchback is losing steam compared to others in its class. The Yaris sports a more restrained look than many in its class, including the Honda Fit and Chevrolet Sonic, eschewing swooping lines for a flatter approach that's clean—but also a little boring. The front of the Yaris hatch is the most exciting part of the exterior styling, with a swooping line of brightwork around a large Toyota emblem, and a larger trapezoidal grille with new black mesh design texturing. Inside the 2017 Yaris, the cabin is straightforward and intuitive. It's a vast improvement on the center-instrument oddity of previous Yaris generations. The dash has horizontal, shelf-like lines and the controls are simple, cheerful, and easy to understand. It comes with lots of built-in storage spaces, in the form of trays, cupholders, bins, and the like—including a long tray at the bottom of the dash for the passenger. The instrument panel has soft-touch surfaces, metallic and chrome accent trim is used throughout in higher trims. The iA is a more complete affair with a massive trapezoidal grille that dominates the front fascia as it sweeps outward and downward toward the ground. Chrome trim and surrounding bodywork echo the geometric shape, magnifying what may be the most emphatically designed nose in the subcompact segment. The iA’s cockpit, with circular vents and an upright screen mounted to the top of the dashboard, looks rather like the design found in a Mercedes-Benz CLA. 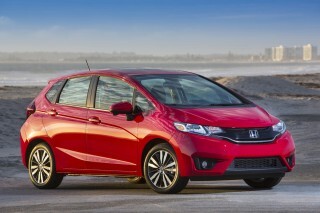 The effect is decidedly upscale, especially for a car that starts under $16,000. Buyers will have to overlook performance to pick the Yaris over many of its competitors, but the iA sedan is surprisingly good to drive. The 2017 Toyota Yaris is unchanged from 2016, which means its fitted with a meager engine, aging transmissions—and in some cases—outdated brakes and handling. The Yaris hatchback comes with one engine, a 1.5-liter inline-4 that makes 106 horsepower and 103 pound-feet of torque. It's fairly low-tech, and frankly, slow enough to qualify as an "econobox." The engine requires constant attention and encouragement to register anywhere near fun, and if you want peak horsepower, you need to be willing to trade some comfort and quiet to get there. It all adds up to an old-fashioned driving experience with a lot of noise for not a lot of forward motion. The transmissions don't help the underpowered engine. You'll get the best performance by using the 5-speed manual gearbox to shift on your own, and you'll have to keep the revs up to keep it moving smartly around town. It runs out of breath at highway speeds, though, and isn't particularly fast given its light weight of just 2,300 pounds. The aging, optional 4-speed automatic is one of the few left in any small car these days. It's badly matched to what little power the engine has, and it produces loud and dramatic downshifts among widely spaced gears when asked for more power. The somewhat soft spring rates reduce the amount the Yaris is thrown off-course by bumps and rippled roads. Suspension tuning is good, and it handles better than you might expect—though it's still no German hot hatch. A stiffer suspension and thicker anti-sway bars on the sporty SE model provide flatter cornering and roadholding without much impact on ride comfort, which is good. The Yaris iA looks on paper like it sports the same 106-hp inline-4, but its engine is totally different. The iA's 4-cylinder is the same size, but it utilizes direct injection and, like the rest of the sedan, the engine was both built and designed by Mazda. The iA's engine is matched to a choice of 6-speed automatic and manual transmissions. Either one is a terrific unit, but we especially like the stick shift as it transforms this little car into a budget sports sedan. The iA sedan comes in just one suspension flavor, which is taut but forgiving. Its steering is precise and nicely weighted. Though it's a little loud inside, the Yaris iA's engine makes a satisfying growl and it's a composed highway cruiser. Our rating here applies to the Yaris hatchback, and not the iA sedan, since the former outsells the latter. However, it's worth driving both since they're totally different vehicles. Front seat passengers won't complain, back seats are suitable for children or in-laws. It's a tale of two Yarises, in our eyes. First, there's the basic Yaris hatchback—in three- or five-door models—and there's a Yaris iA, which is a four-door sedan. The Yaris hatchback isn't much of a world-beater in the segment, but does offer a fair amount of leg room for front seat passengers. Front-seat riders get the best seats in the Yaris and we've found them to be more comfortable than in the larger Nissan Versa. In particular, they don't suffer from the short-lower-cushion syndrome that many makers use to disguise a lack of room in front. They're wide enough for U.S. frames, too, and the upgraded seats in the top-of-the-line SE model offer better side support and contouring. Leather isn't offered on any Yaris model, however. 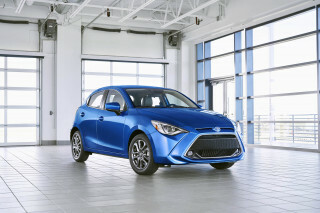 A mid-cycle update for 2015 gave the Yaris hatchback a retuned suspension, which gave the car relatively good ride quality for its class and mostly eliminated the bobbing motions suffered in some small cars with short wheelbases. It also got significantly more sound insulation, plus a new acoustic windshield, off of which improved the ride and reduced road and wind noise. The engine remains noisy and strained when it's revved above about 3,000 rpm, though, and the archaic 4-speed automatic transmission doesn't have enough ratios to keep it quiet at 70 mph or more. The Yaris iA is a little different story, with a better ergonomic layout but not much more leg room for rear passengers—just about an inch. Four adults will have a hard time fitting into the iA for any long stretches and the sedan's 13.5 cubic feet of cargo space is typical for the sedan segment. The Yaris is aging in test scores; the Yaris iA does much better. The 2017 Toyota Yaris is in its fifth model year for Toyota and starting to show its age in test scores. However, this is a tale of two Yarises (Yarii? ), so we'll talk about them separately. 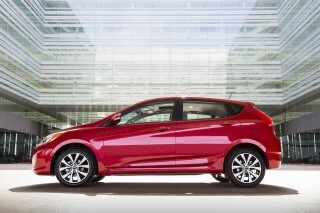 One thing to note is that our score is based on the Yaris hatchback and not the Yaris iA sedan. That's because the hatchback is the stronger seller and because we have incomplete data on the sedan. Federal testers give the hatchback a four-star overall score, and the IIHS gives it a worrying "Marginal" rating in its small overlap front crash score. The Yaris hatchback doesn't include a rearview camera at all. 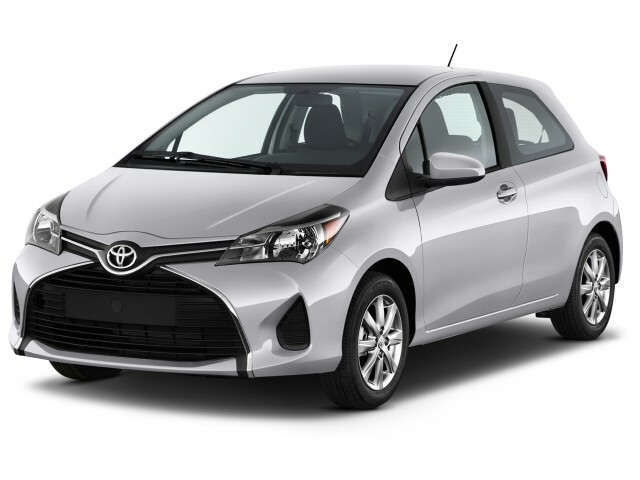 But like other Toyota vehicles this year, the Yaris receives advanced safety features such as automatic emergency braking, forward collision warning, lane departure alert, and automatic high beams to supplement its mixed rating reviews. The IIHS gave the Yaris hatchback "Good" scores on the rest of its battery, and its safety set is fairly advanced for an economical car. Since they're totally different designs, the Yaris iA's safety features and scores are worth considering separately. The Yaris iA across the lot is a Top Safety Pick by the IIHS; it earns "Good" scores all around except for in the agency's new headlight test. There, the iA's headlights rate as "Poor." The NHTSA has not yet tested the Yaris iA. The iA's proactive safety equipment was developed by Mazda and not by Toyota, and it's worth point out that there are some notable functionality differences. The iA does not include the hatchback's lane departure alert and automatic high beams. Additionally, while its system can automatically apply the brakes to reduce the severity of a collision (or avoid one altogether), it works only at lower speeds. By contrast, the hatchback's Toyota-developed system works at all speeds. Both cars come standard with a full complement of airbags, traction and stability control systems. Base L models of the Yaris liftback still use drum brakes, the rest of the lineup sports discs all the way around. If safety is a top priority, we might suggest other options than the Yaris hatchback for consumers—like perhaps the Yaris iA, even if its automatic emergency braking isn't quite as advanced. Base hatchbacks are built to hit a price; Yaris iA models are a much better deal. The Yaris hatchback comes in three trim levels without many options for accessories or personalization. Base models are equipped with 15-inch wheels, power door locks, air conditioning, Toyota's base safety systems (which we cover separately) and a 6.1-inch touchscreen for infotainment that includes Bluetooth connectivity. Moving up from the base L model, LE-equipped Yaris hatchbacks include cruise control, keyless entry, and a black grille. It's important to note that all 3-door versions of the Yaris are LE-equipped models. 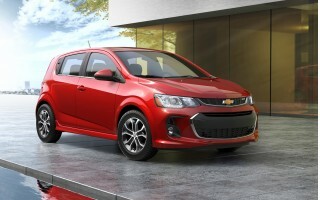 Top of the range SE-equipped models add 16-inch wheels, a leather trimmed steering wheel, rear spoiler, a different suspension setup, disc brakes for the rear wheels, fog lights, and a better instrument cluster. Similar to when it was called a Scion iA, the Yaris iA is available only in one specification, with a fairly good base setup. A 7.0-inch touchscreen with controller was lifted from Mazda (the Yaris iA is based on a Mazda 2 not sold in the U.S.), 16-inch wheels, advanced safety technology, keyless ignition, and a rearview camera. 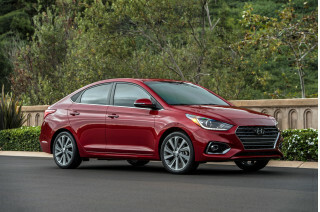 Starting at $17,250 including destination for a Yaris and $16,815 for a Yaris iA, it's unclear why many consumers would pick the lowly hatchback over the more refined sedan. The Yaris isn't as fuel efficient as its small-car size would lead you to believe, but it's not bad compared to the universe of new cars. The 2017 Toyota Yaris is far behind other small car competitors—including Toyota's own 50-mpg Prius C—in terms of fuel efficiency. Most models of the Yaris, including the newly minted Yaris iA, hover around 33 mpg combined. The most efficient model of the Yaris is the iA with a 6-speed automatic, which is rated at 32 mpg city, 40 highway, 35 combined. Manual versions of the iA are rated at 30/39/34 mpg. Hatchback models of the Yaris are rated lower, at 30/35/32 mpg for the 4-speed automatic, and 30/36/33 mpg for the 5-speed manual. Fuel economy aside, iA versions are more fun to drive and better equipped than hatchback versions, based on our experiences. 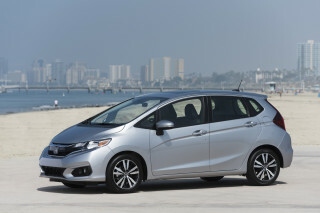 The Honda Fit—a popular choice in the segment—manages 33/40/36 mpg, according to the EPA.